Check out our past workshops! Workshops are held on Saturdays at the TLD warehouse, from 10am - 12pm and free to the public, unless otherwise specified. Seating is limited. See descriptions of topics below. The B.Willow workshop is being rescheduled. Please check back for the new date! Join The Loading Dock in partnership with your local Ace Hardware to learn how to build, fill, and maintain your own raised bed garden. Find out how to transform any outdoor space into a fertile garden using materials from The Loading Dock and a little elbow grease. This hands-on, demonstration workshop will get you busy making your raised-bed garden dreams come true with the guidance you need to design and build your own at home! 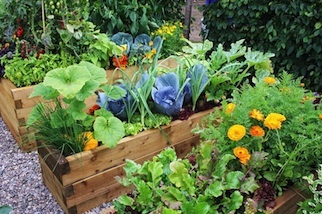 Learn what soils are best to fill your new raised bed and how to grow a delicious harvest of herbs and veggies in a compact space. Perfect for the urban gardener. 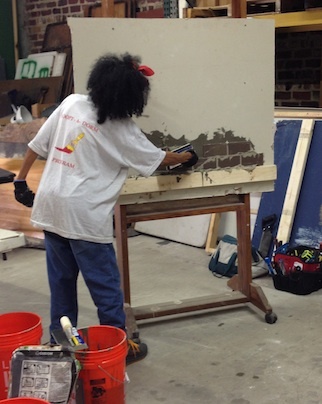 Instructor Mark returns to demonstrate how to install tile backsplashes through hands-on activities including spreading grout and placing tile. Come learn about your obligations under EPA's Renovation, Repair and Painting (RRP) rule to become lead-safe certified at this FREE info session. and your employees trained in lead-safe work practices. FIRM CERTIFICATIONS LAST FOR FIVE YEARS. 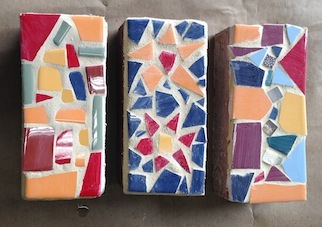 Instructor Pat Stein returns for this popular workshop to show participants how to mix thin-set mortar and grout, and turn reclaimed ceramic tile and bricks into beautiful stepping stones!